KUALA LUMPUR (March 30): Another hike in cigarette price will result in a drop in the government's revenue collection as consumers will switch to cheap illegal alternatives, say cigarette manufacturers. Any further price increases will also have no impact on smoking rates, said the Confederation of Malaysian Tobacco Manufacturers (CMTM), stressing that the illegal cigarette segment is already spiralling out of control. "In the current economic environment where consumer sentiment remains low, another round of cigarette price increases will only produce a detrimental situation for both the government and the legitimate industry as consumers will switch to cheap illegal alternatives selling as low as RM3 per pack. "When more than one in two packs is illegal and sold that cheaply, increasing legal cigarette prices to RM21.50 will not reduce anything except government revenue collection," CMTM said in a statement. The confederation noted that the Royal Malaysian Customs had reported last year that illegal cigarette trading resulted in losses of RM4 billion in government revenue collection. Deputy Health Minister Datuk Seri Dr Hilmi Yahaya said in Parliament two days ago that the government planned to increase cigarette price from RM17 to RM21.50 a pack in the near future as a means to deter people from smoking. CMTM shared that the cigarette black market stands at a new record high of 57.1% based on the latest Illicit Cigarette Study (ICS) conducted by Nielsen Malaysia in December last year, and is one of the highest rates in the world. "This demonstrates that the illegal market is a crisis that cannot be ignored. So what benefit will be derived from increasing the price of cigarettes to RM21.50 when the hundreds of unregulated illegal cigarette brands are sold mostly between RM3 and RM5, and which has already overtaken the regulated segment?" it said. CMTM added that reports released by the health ministry show that the number of smokers have increased between 2011 and 2015. "According to the ministry's Global Adult Tobacco Survey (GATS) 2011, the number of smokers in Malaysia was reported to be at 4.75 million. "Subsequently, the ministry's National Health and Morbidity Survey (NHMS) 2015 — Reports on Smoking Status among Malaysian Adults reported that the number of smokers increased to five million. 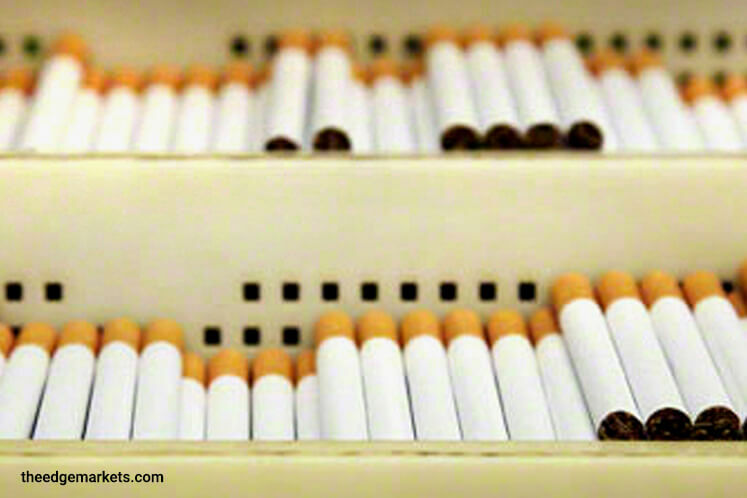 However, cigarette prices on average during the same period of time increased by more than 30%," it said.